The developed world’s value for creative architectural design, and architects’ thinking to explain the origin of the built environment, provides an argument in support of creation as an explanation for the origin of the natural environment. From the late 1800’s in Western culture, there was a search for an explanation for an origin for life that did not require God as the designer. However, in parallel, in the very same culture the status of the creative designer was elevated by formalising the architectural profession. Since the Ancient Roman era, the architectural profession has developed a language that describes itself by relating to a Divine creative exemplar and often appropriating images, or analogies, from a created nature to explain how a building design works. The dominant thinking of the architectural profession, where the architect is portrayed as a creator and uses images from nature is here called the ‘Design Paradigm’. The continuing dominance of this Design Paradigm raises questions regarding the usefulness of the evolutionary theory. Assuming that the physical things in the world are an objective reality,1 there are two basic ways to view their origins: either they were created by an intelligent being, or they evolved. 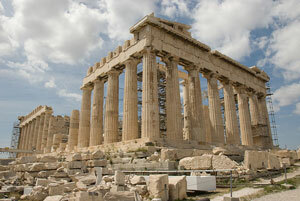 Traditional thought in Western culture was dominated by the belief that the world was created by the God of the Bible. More recently some thinkers in Western culture have rejected this idea, and postulate ways things in the world could evolve. In an increasingly pluralistic Western culture there are now a multitude of variant ideas, including nature worship and paganism, which, as anthropologist Clifford Geertz observes, results in a mixture of ideas ‘grown up around the ancient tangle of received practices, accepted beliefs, habitual judgments and untaught emotions’ and ‘those … straightened out systems of thought and action—physics, counterpoint, existentialism, Christianity, engineering … ’.2 Though such ideas as nature worship and paganism suggest a creation viewpoint, they fundamentally disagree as to the nature of the creator. Therefore the following will focus on creation belief systems based on the Judeo-Christian model, as this has dominated Western thought. Figure 1. The two ways of seeing the origin of the physical environment. The physical things in the world which we can experience are called our ‘environment’, which can be categorized into ‘human-made’ and ‘natural’ (figure 1). The human-made environment, like the natural world, can be seen as either having been created or having evolved. Historically, Western society had a consistent world view that embraced science, the arts and construction, which maintained that physical things in the world are created. However, now Western society has a divided view; in the fields of design the dominant view places value in objects and buildings which are ‘created’, while also, at the same time, in certain scientific fields, the thinking is dominated by the view that the world ‘evolved’. Two human fields of endeavour have developed that have two very different dominant world views. However, due to increasing numbers of people choosing to live in cities, the majority of people now are surrounded by a human-made environment. Their observations of the natural environment may be limited to fellow humans, a few animals, insects, birds and weeds, as many trees in urban areas are cultivars planted by humans and the view of the sky and stars may be obliterated by pollution and light spillage. In other words, most people in Western society experience an environment made by people whose thinking is dominated by the view that a good environment is ‘created’ by a designer. Design is not easily defined. Amos Rapoport’s definition states, ‘ … design is any purposeful modification or change to the physical environment (the face of the earth) by humans’.3 Design therefore requires an intelligent agent capable of expressing purpose or intention. For Rapoport this means they are capable of making choices.4 Terence Love adds that the purposeful modification must be ‘non-routine’.5 For example, determining the brick pattern in a wall is design, but not laying the bricks. A paradigm is an example or pattern. The prefix para, (παρά) from the Greek, means beside or beyond. The example or pattern is not a real object, but a mental picture of the object which can be put beside the real object to help us understand it. In the field of architecture a paradigm is a simplified, or easily comprehensible, picture that captures the essential characteristics of a situation or thing. Figure 2. 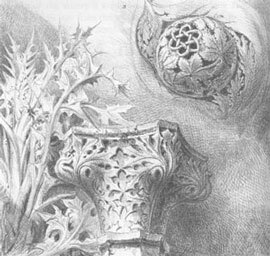 Ruskin’s drawings illustrated the creative depiction of nature in carved ornament. (Ruskin,9 Plate 1). ‘According to the grace of God which was given to me, as a wise master builder I laid a foundation, and another builds on it. But let each man be careful how he builds on it’ (1Corinthians 3:10 WEB). Vitruvius’ thesis states that the architect, or master builder, was to be a designer like the divine intelligence that designed nature. ‘“For in him we live, and move, and have our being.” As some of your own poets have said, “For we are also his offspring”’ (Acts 17:28 WEB). This is another confirmation that they believed that nature was sustained by a divine intelligent being. At this time when the profession of architecture was being defined, the divine intelligent designer of nature was an exemplar for architects. The Design Paradigm established was where architects strived to reflect the Divine Being and were inspired in their work by the patterns and proportions of nature. Architectural design is a practical skill involving thought, or reflection-in-action. The thoughts during the reflection-in-action of the design process are most often limited in scope and pragmatic, involving, for example, heights and widths. However, beside this pragmatic thought is another where the architect devises an explanation for other people to justify the origin of the forms, or to give a reason for a choice of one material over another. The architect’s explanation may be mundane, belong to a school of architectural thinking or be of outstanding creative originality. He may use ideas from his culture or views about the origins of the world. Ruskin is credited with inspiring the Arts and Crafts movement and Art Nouveau, which drew inspiration from nature, which they saw as designed by God and emphasised ideas of individual creativity (figure 2). His influence is still seen in that many architects insist that materials and structure should be expressed without being covered and that beautiful forms are to be derived from the study of nature. Figure 3. 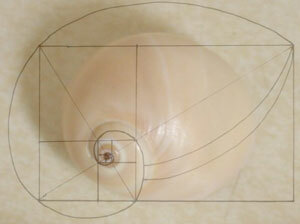 The golden proportion is considered beautiful due to its description of a shell’s spiral. Boyd, though he was from the notorious Boyd family of atheist artists, articulated the ideals of Australian architects, who had been influenced at Federation by Arts and Crafts ideals and the Design Paradigm, where the architect as a creator seeks to reflect nature in their work. It may be extrapolated that Boyd viewed nature as a creation. Louis Kahn, an American, teaching students in 1968 was more poetic, seeing art as the language of God. Kahn taught that the artist (which is all mankind) works with the language of God, and also that mankind has within them the record of how they were made by nature. Kahn’s two ideas fit within the Design Paradigm. The Design Paradigm has not been static over the last 120 years, but rather has been enriched. Influential architects, in speaking about how they think when they make buildings, have presented a way of understanding how the world is. The Evolution Paradigm, though not dominant, is also evident. Robert Venturi re-interpreted architecture in 1966 as being complex in reality and containing contradiction. Venturi made a parallel between architecture and a biological paradigm of the era where certain parts of the body were thought to be without use and therefore vestigial, or left over, from an unfinished evolutionary process.21 However, Venturi does not allow his designs to evolve, as he invests considerable intellectual effort to achieve architectural ‘vestigial’ elements. The analogy is clearly limited as he emphasizes meaning when speaking of his work, which requires an intelligent agent. Ken Yeang, using some of the language of biological evolutionary theory, has developed a thesis that architecture should be ecological, by which he means human activities need to relate to the ecosystems. He, however, also emphasizes that a designer’s approach should, like nature, be holistic, and he shows that this involves considerable research and effort to achieve efficient design. The emphasis on the design effort involved indicates that the evolutionary parallels are superficial. It is possible these references to evolutionary ideas are merely a parallel with nature that has resulted from the influence of the Design Paradigm. After years of acceptance of the evolutionary theory in the natural sciences, it would be expected that architectural academics and writers would have also been affected. To establish how dominant the two paradigms are, the use of key words were counted in leading publications. In the Design Paradigm the key word is ‘creation’/‘creating’. According to the Oxford dictionary, the word ‘creation’ describes the act of making something, a product of human intelligence, and also is a term to describe the universe. The words ‘intelligent’ and ‘ingenuity’ relate to the idea of creation. In the Design Paradigm there is a Divine exemplar, leading to the use of words such as ‘inspiration’, ‘spiritual’ and ‘imagination’. Evolutionary thinking speaks of things evolving. Unfortunately for clarity, the word ‘evolve’ derived from the Latin for ‘roll’, is used to describe the gradual development and unfolding of a human idea, as well as describing the theory of capital ‘E’ Evolution, the development of species from lower to higher forms. The context determines what the writer means. To gain an insight into the relative importance of these ideas, references to ‘craftsmanship’ and ‘skill’, which are the task of architecture, were counted. Also references to ‘motif’ and ‘pattern’ from Classical design and Alexander’s architectural interpretation of the science of the natural world. The references to the natural environment do not directly support the Design Paradigm as they could also be the focus of evolutionary thinking. They were counted to determine the degree that cultural ideas regarding the origin of nature may influence thinking. Table 1. Number of times words are used in the text of recent architectural journals, indicating relative influence of the Design Paradigm versus evolutionary theory. From table 1, of all the words counted, the variants of the word ‘create’ were used the most. The use of ‘evolve’ and its variants were used infrequently. In addition, all journals frequently used a set of words which are descriptive of design being of the spirit, reflecting the influence of religious ideals. The set of words for ‘intelligent’ appear less frequently; it is more important that design be capable of inspiring people than be ingenious. References to ‘pattern’ and ‘motif’, ideals derived from classical proportions of nature, are evident but far outweighed by the ideal that things should be natural, reflect natural forms or connect to the landscape. The number of references to the natural environment demonstrates that it is likely to be a source of inspiration for explanations of the origin of architectural form. However, the very task of architecture, being that of a skilled occupation, is present, but it is not a particularly common topic. The London-based journal Architectural Design (AD) gives the impression that it leads architectural theory by featuring the work of the world’s best architects, who are also often academics from prestigious design schools. This journal would be studied by those students who desired to present their design as being well thought out with theoretical ‘depth’. One reference of the three recorded in Table 1 under ‘evolution’ in the AD volume studied was to the evolution, or rolling out, of a vista. Another writer uses evolutionary language; however, it merely parallels their view of nature as they also state that American cities are ‘creating’ spaces. Marshall and McGrath do not use the word evolution once. However in their article they speak of people being creative. The Design Paradigm is evident as architecture is presented as being designed, and Holm and Guzzardo equate ecosystems to architecture, implying they too are designed. Pallasmaa reinforces the idea of the architect as a creator of harmonious wholes by quoting Alvar Aalto, an eminent Finnish architect who designed everything in his buildings, including furniture. At this time when the profession of architecture was being defined, the divine intelligent designer of nature was an exemplar for architects. Sasaki values nature. His mental paradigm is that nature evolves; therefore, he sees his designs as ‘evolving’. Whereas Sasaki believes his computer model is like nature and he sees his designs as evolving, Rappaport, the reporter, clearly values the creativity of Sasaki and understands the reality of the situation, which is that significant creative effort is required by Sasaki to make his rational optimized structures. The texts analyzed don’t often describe design as ‘intelligent’. Rather, design is functional, resolving and integrating complex requirements. Architects speak often of collaboration for resolution of technical issues. Architects borrow analogies from their understanding of nature and equate them to their designs to help them explain what they have created, but there is not an ‘Evolutionary Design Model’, even though some designer’s understandings may be developed with an evolutionary bias. By ‘unphilosophical’, Newton meant ‘unscientific’. However, in 1859 Darwin’s The Origin of Species was published and in 1871 his The Descent of Man. These ideas generated controversy. They challenged the basis of the Design Paradigm. It would be expected that society would have at this time also questioned the value to society of the ideal of the renaissance architect. It follows logically that if nature could arise out of chaos without a skilled designer, surely buildings could too. If an evolution paradigm was applied to the built environment, there would be no need for any special expertise and no need for intelligence; therefore, there would be no need for architects. However, while society was questioning the basis of the Design Paradigm, in the Commonwealth and America the profession of architecture in the Renaissance model was being defined. Though the Royal Institute of British Architects (RIBA) was begun in 1834 and gained royal charter in 1837, it was not until 1863 that they began to set professional standards. By 1882, to enter the institute a candidate required a professional examination. Until this time anyone could call themselves an architect if they wanted to, including builders. By 1931, the architectural profession was defined by law.34 In parallel in the USA in 1857, architects formed the American Institute of Architects (AIA) to promote the scientific and practical skills of the members. This came into being with its 1867 constitution, which added to the original constitution the aim of promoting artistic skill. Membership was only for practicing architects, where the AIA defined who an architect was and what they did. In 1867, the AIA suggested formal education and accredited schools of architecture. In 1897, Illinois was the first US state to introduce an architectural licensing law, which was followed by the other states.35 Australia followed the English model, and by 1921 had an Architects Act. Both society and the architectural design profession emphasize their intellectual value in the construction of every aspect of the built environment. On one hand, our culture is seeking to eliminate a Great Designer, while at the same time, unconscious of the inconsistency, we are beginning to understand the need for design expertise in the face of increasing man-made complexity. The leading nations of the world have over the last 150 years elevated the ideal of the Renaissance architect, who understands the Design Paradigm, in their interventions in the built environment. If this thesis seems rather self evident, the consequences should be considered. If an evolution paradigm was applied to the built environment, there would be no need for any special expertise and no need for intelligence; therefore, there would be no need for architects. There are regions in many cities, such as the favelas of Rio de Janeiro, which have no design input by expert designers or architects. Our culture, by elevating the profession of architecture is saying clearly that they prefer the world we actually live in to be designed and meaningful rather than the result of unthinking, unplanned, ad hoc events (such as occurred to make the favelas). They place value in the Design Paradigm. In addition, the architectural writers state from a pragmatic viewpoint that without intelligent and expert input, the things that humans make do not function very well. This shows the real nature of the world we live in, which is the built environment. Humans who live in cities, towns and on farms, where the land is shaped by their labour, don’t live in nature; they live in the built environment. Therefore, an evolution paradigm is simply not practical or useful to our society. For this reason the Design Paradigm still informs how Western culture views the built environment, despite 150 years of the popularity of evolutionary theory in science. For an architect, good objects are designed and have a maker or creator. This is a belief system based on observation. In reality the world would not stop turning if buildings were not functional. 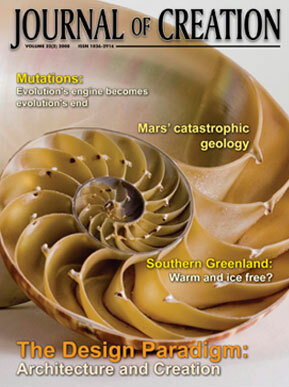 In addition, nature provides examples that inspire the design of complex mechanisms that work. If a culture maintains a belief that it requires intelligence and skill to copy the functional mechanisms of nature, it seems a contradiction that the same culture could believe nature was not likewise designed. 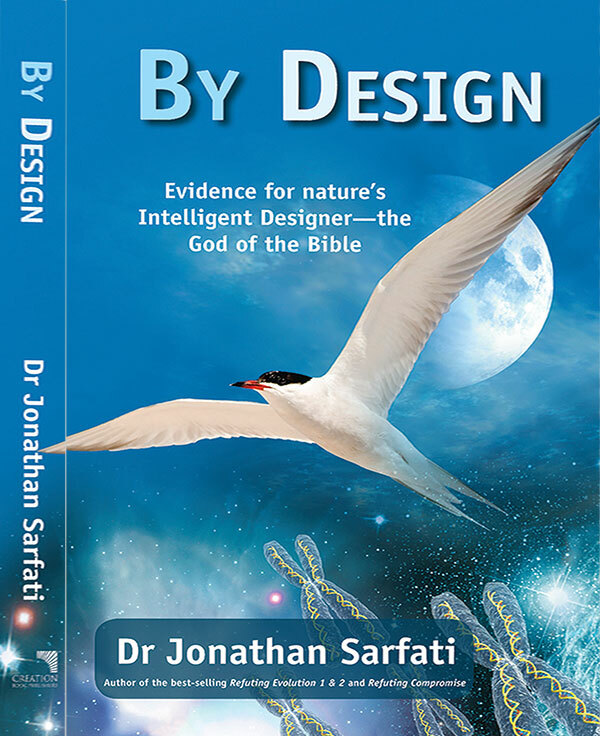 It would seem rational to have a consistent world view and to extend the Design Paradigm to nature: that the entire physical world has a maker or Creator. From subjective viewpoints the things in the world can be seen as imagined, or a function of the of the individual’s mind. An example of the latter is the difference between the world of a colour blind person and someone with normal vision. Return to text. Geertz, C., Local Knowledge: Further Essays in Interpretive Anthropology, Basic Books, New York, p. 74, 1983. Return to text. Rapoport, A., History and Precedent in Environmental Design, Plenum Press, New York, p. 12, 1990. Return to text. Rapoport, ref. 3, p. 16. Return to text. Love, T., Constructing a Coherent Body of Theory about Designing and Design: Some Philosophical Issues, Design Studies 23, pp. 345–361, 2002. Return to text. Vitruvius, M., De Architectura, Book 1, chapter 1, 23–27 bce (translated to English 1791). Return to text. Vitruvius, ref. 6, Book 3, chapter 1. Return to text. Vitruvius, ref .6, Book 9, chapter 5. Return to text. Ruskin, J., The Seven Lamps of Architecture, Aphorism 17 Dover, New York, pp. 71–72, 1989 (republication of the 1880 edition). Return to text. Wright, F.L., In The Cause of Architecture:Composition, The Architectural Record, December, 1928. Return to text. Rasmussen, S.E., Experiencing Architecture, MIT Press, MA, 24th printing, p. 33, 1993. Return to text. Rasmussen, ref. 11, p. 237. Return to text. Bachelard, G. The Poetics of Space, Beacon Press, Boston, MA, 1994 ed., p. 52, 1964. Return to text. Bachelard, ref. 13, p. 128. Return to text. Bachelard, ref 13, p. 240. Return to text. Summerson, J., The Classical Language of Architecture, Thames and Hudson, London, pp. 90–99, 1980. Return to text. Boyd, R., The Puzzle of Architecture, Melbourne University Press, p. 19, 1965. Return to text. Kahn, L.I., Conversations with Students: Architecture at Rice 26, Princeton Architectural Press, TX, 2nd ed., pp. 18, 26, 1998. Return to text. Scully, V., Architecture: The Natural and the Manmade, St. Martins Press, New York, 1991. Return to text. Libeskind, D., The Space of Encounter, Thames and Hudson, London, p. 77, 2001. Return to text. Most parts once labelled ‘vestigial’ have since been found to have functions. Return to text. Alexander, C.S., Ishikawa, M. and Silverstein, A., Pattern Language, Oxfrod Univeristy Press, p. 180, 1977. Return to text. Alexander, ref. 22, p. 323. Return to text. Gitt, W., In the Beginning Was Information, Christliche Literatur-Verbreitung, Germany, 1994. Return to text. Shane, G., Recombinant landscapes in the American city, Architectural Design 77(2):27, March/April 2007. Return to text. Marshall, V. and McGrath, B., Operationalising patch dynamics, Architectural Design 77(2):52, March/April 2007. Return to text. Holm, L. and Guzzardo, P., Is there a digital future landscape terrain? Architectural Design 77(2):109–111, March/April 2007. Return to text. Pallasmaa, J., Quoting Alvar Aalto, ‘Taide ja tekniikka’ [Art and Technology], lecture, 1955, Architectural Design 77(2):19, March/April 2007. Return to text. Morehead, G., Architectural Record, McGraw Hill Construction, p. 72, October 2007. Return to text. Rappaport, N., Architectural Record, McGraw Hill Construction, p. 95, October 2007. Return to text. Architektur-Dokumentation, Detail (Germany), p. 262, May/June 2007. Return to text. Nagel, P., Living Architecture (Denmark) 19:201, 2004. Return to text. Newton, I., Optics, 4th ed., Book 3, part 1, London, 1730. Return to text. Walker, I. and Wilikie, R., Commercial Management in Construction, Blackwell Publishing, Malden, MA, 2002. Return to text. The American Institute of Architects, , Oct 2007. Return to text. NSW Government, Environmental Planning and Assessment Regulation, 2000. Return to text.